Buckets, both plastic and metal, have so many uses one can ever imagine. From storage to creative DIY goods (such as bucket rack, bucket ottoman, chicken waterer and even bucket igloo), these pails are part of our culture and existence today. 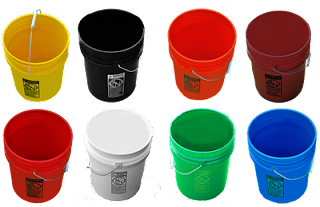 However, when it comes down to choosing which pail you'd like to use, we tend to go for plastic buckets - perhaps because of the abundant availability. But there are the metal ones (and in the former days wooden buckets were widely used). Today's blog is not trying to say that one type of pail is better than the other; but it is to compare the uses and how each type is best used in what circumstances. You can find them anywhere for a bargain. You can even get them for free if you ask the nearby restaurants or ice cream parlours. 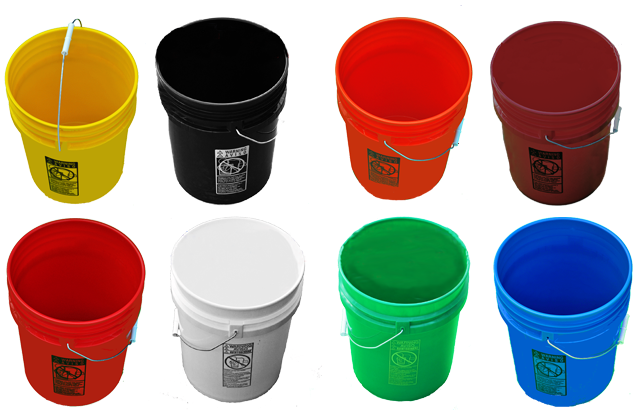 Unless the pails get melted in a fire or have too much weight they can handle, plastic buckets are pretty much durable. BayTec plastic buckets are especially sturdy with super heavy duty 90 mil feature. Most shops sell 70 mil ones. Put them indoor or outdoor, they'll stay the same. They don't pick up rust like metal pails do. They cost cheap, they can look cheap sometimes. But with some nice color spray (or buy colored pails instead), they can improve the look, especially to appeal to small children. It's plastic. It melts near fire. Put it away from source of fire, and they should be fine. If you want to grill using pail, go for the metal ones. I don't know about you, but I love how metal buckets look. It's classy, elegant and timeless. 10 years ago or now, they look nice. Even with a little bit of rust on. Although plastic pails are durable, metal pails are a lot stronger in terms of weight and pressure. Some people prefer these pails when they need the strength of the bucket. Due to the toxic concerns, plastic buckets are less favorable when heat is involved. Metal buckets in this case are perfect to use instead of plastic ones. But at least you know one that sells them. Us. With quality comes the price. Metal buckets are more expensive than plastic buckets, that's for sure. You don't want to put metal pails outside. Store them inside and clean with dry cloth instead of wet to prevent rust. So.... which buckets do you want for your next project?